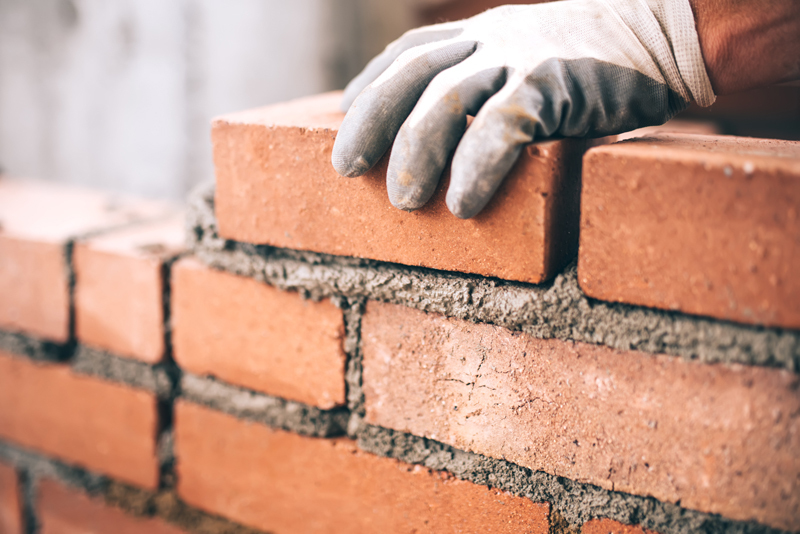 Lafarge Cement, part of the Aggregate Industries business, is calling on housebuilders to insist on tighter controls around the use of mortar. A recent report by the BBC revealed that substandard product is causing damage to hundreds of new homes. The use of weak mortar that failed to meet not required industry standards led to crumbling properties across 13 estates in the UK. The news has caused widespread concern amongst residents and across the construction industry. “This latest report is concerning, especially as it has been identified as a potential industry-wide problem affecting hundreds of homes,” says Jeremy Lee, commercial director at Lafarge Cement. “As acknowledged by the BBC, mortar performance is a complex issue, with a myriad of factors including weather and correct specification and application having a potential detrimental impact. “However, this is why it’s critical that all building products, including mortar, meet required industry standards – which according to the NHBC should be one part cement to 5.5 parts sand for most of the UK, but for areas that experience extreme weather conditions, such as Scotland, it’s recommended that a higher proportion of cement is used to increase durability. As part of Aggregate Industries, Lafarge Cement offers a solutions-based packed cement portfolio. The range includes the premixed and ready-to-use mortar mixed product, which is made up of a selected blend of cement, lime and aggregates, and is suitable for laying all types of brick and block. 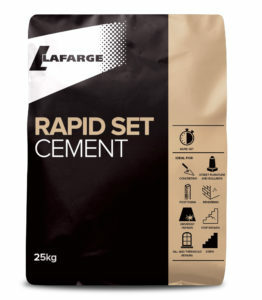 The manufacturer has also recently added a new packed product to its range: rapid set cement. Rapid set cement is a Portland cement containing calcium aluminate for rapid hardening. The fast-setting, low shrinkage cement is designed for use in screeds and renders to prepare wall and floor surfaces prior to installing most tile types. It’s suitable for dry and wet installations, including swimming pools, and can be pumped for fast application. Setting in just one hour, its rapid strength development means screeds can accept foot traffic after three hours and bonded screeds and renders can be tiled with ceramic tiles after four hours.